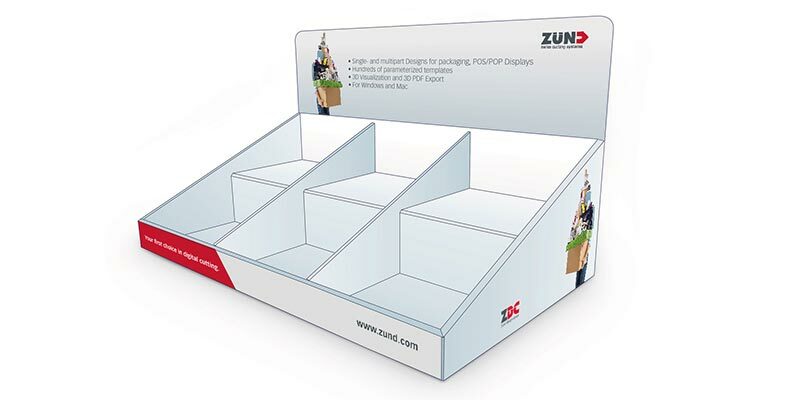 Zünd Design Center is an Adobe® Illustrator® Plug-In for creating three-dimensional designs for packaging & displays made from folding carton, corrugated cardboard, sandwich material and expanded PVC. 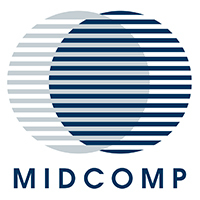 The core of ZDC is a comprehensive library of parametric design standards. Simply select a suitable design from the library, and apply the desired measurements. Complete the design by adding logos, patterns and other design elements. With 3D preview, you can verify your design at any time. 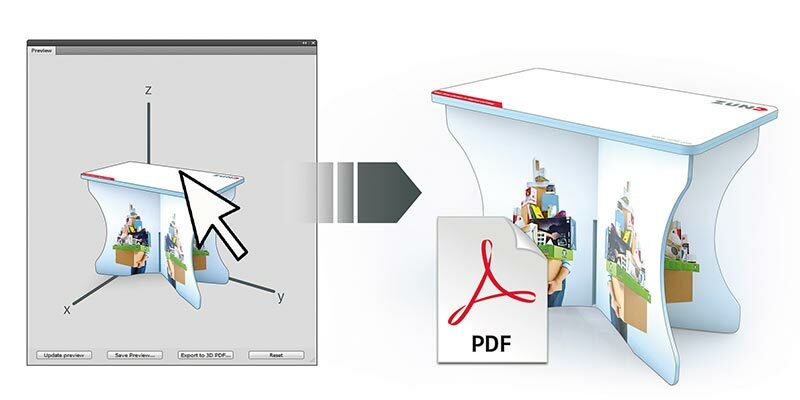 The 3D PDF export function is ideal for presentations and proposals and can also be used for generating PNG files. 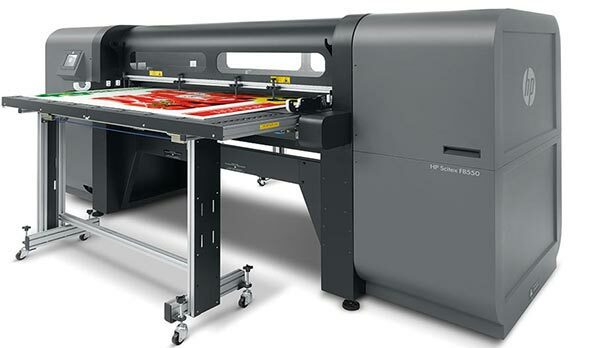 Every design is prepared for seamless import into Zünd Cut Center – ZCC. 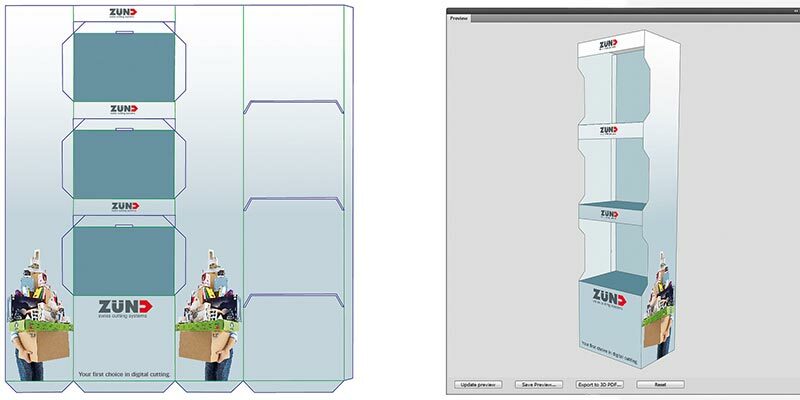 With the ZDC library, you have hundreds of ready-to-use designs in folding carton, corrugated cardboard, sandwich material and expanded PVC at your fingertips. 3D preview makes it easy to select the perfect one for the job at hand. All designs in the ZDC library are parametric and individually scalable. All you need to do is change the most relevant measurements; all others will be calculated automatically and adjusted according to the thickness of the material. 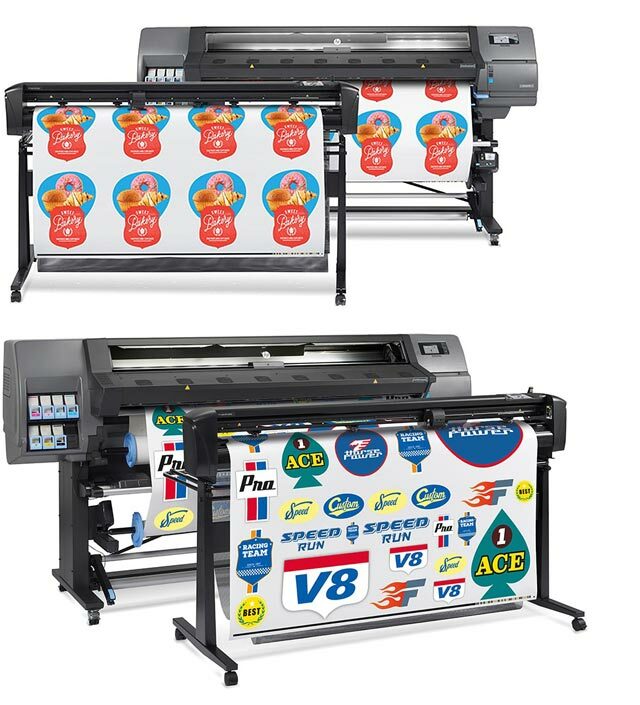 With Adobe® Illustrator® you have access to the full gamut of creative functions and design possibilities of professional design software. In the virtual, 3-dimensional preview of ZDC, you can continually verify layout changes and how they affect the folded end product. The 3D preview function works with library designs as well as designs of your own making. Your customers will be impressed! Instantly show them simulations of the folded product designs you have created. 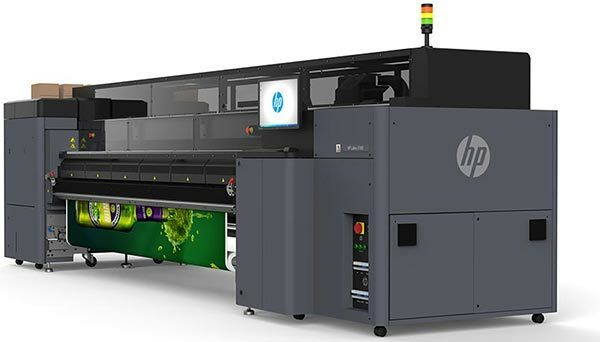 In addition, you can effortlessly export interactive 3D PDF files of different design versions for your customer to evaluate in 3D and use in their decision-making process. 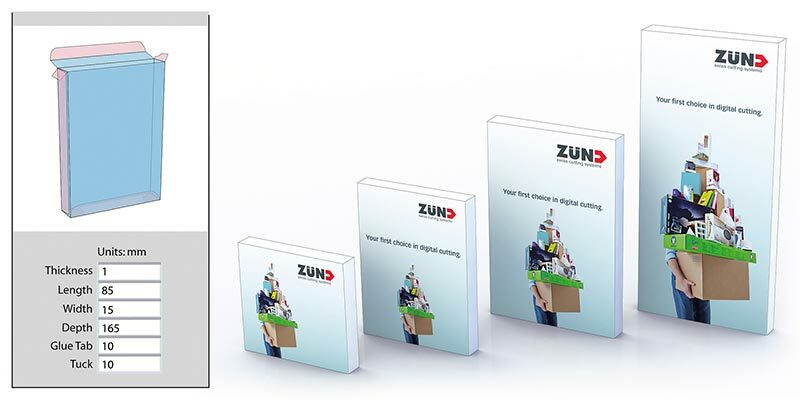 For a quote on Zünd Design Center please send us your contact details and we will get in touch with you soon.